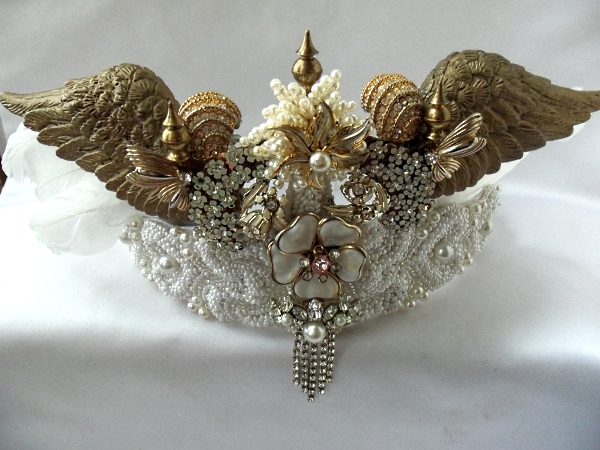 The amazing Princess Laya’s crown…. She is the striking ebony beauty named Princess Laya and she is far from the ear muff hairdo princess Laya we have come to love. If you have not heard of her you are really in for a surprise for she has written a very important book and this gal can sing like Ella Fitzgerald. You will be seeing her on the Steve Harvey Show, Good Morning Ameriza and the Kelly show just to name a few. I personally can’t wait to read her work. I will be on set for her photo shoot and have made a dozen custom pieces for that, ad spots and the talk show tour. Above is her official princess crown I made just for her. In a few days I will be the first to interview her and I promise that will be an amazing write up.